In honor of The Darkest Minds movie and The Darkest Legacy both releasing in less than a week, my sixth Weekend Aesthetic features The Darkest Minds. I have been a fan of this series since it first released, and I am so excited that we’re getting a book from Zu’s perspective! I recently read TDM so that I would be refreshed for the movie, so I really tried to capture the setting of the book while creating this aesthetic. What do you think of this TDM aesthetic? Are you excited for The Darkest Minds film? Thank you! I definitely get all of the fall vibes as well! 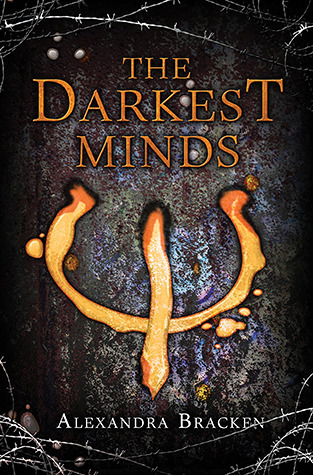 I need to reread The Darkest Minds, and then get to the sequels asap, because I’m DYING TO watch the movie in theaters. Also, even after only reading ONE book I’m so excited for Zu’s own novel – she was such a precious and amazing characters. Your aes is the perfect rep of TDM! Thank you! I hope you’ve had the chance to read the rest of the series! I really want to reread it before I dive into TDL. This is a neat feature!! I love aesthetics, actually it would make a neat meme too! <3 I still need to read The Darkest Mind, the movie seriously makes me want to get to it!